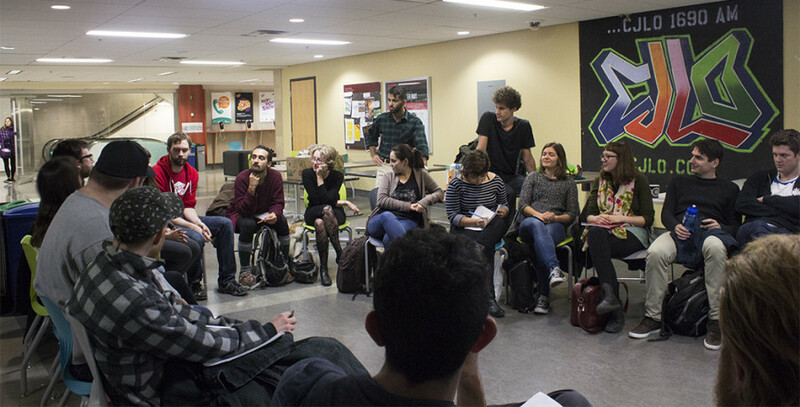 Divest Concordia announced that they will begin campaigning on Nov. 1 to encourage students to vote in favour of the Concordia Student Union taking an official stance in support of Divest Concordia. The announcement came at their general meeting on Oct. 27, and the vote for the referendum will take place on Nov. 15 to 17. If the mandate goes through, the current CSU council, as well as future CSU councils, will have an official mandate to support the Divest Concordia movement in their goal to pressure Concordia to fully divest from fossil fuels. That means funding, more resources, and more vocal support, said Eamon Toohey, a Divest Concordia member. “The student body is going to show their support,” M said Toohey of the upcoming referendum. Beyond that, Toohey mentioned that they have hopes to enlarge the movement by cooperating and working with Divest Mcgill. “We don’t have concrete action plans yet”, said Toohey. Divest’s main goals, he said, include growing the movement within the school and getting more students on board. The Concordia University Foundation has has an investment fund worth about $155 million, and about ten per cent of that, which would be $15 million, is invested in fossil fuels. However according to Bram Freedman, Vice-President of Advancement and External Relations finding exactly how much the school has invested is difficult. He went on to say that because the Concordia Foundation has pooled funds, it’s difficult for them to know exactly how much they have invested invested in fossil fuels, as there are no detailed breakdowns of their investments in comparison to others investments. In order to figure this out, the foundation would be required to hire a specialized firm to contact all their different investment managers to compile a report. But since the university hasn’t done that, they are still unaware of how extensive their fossil fuel investments are.